This is the story of the creation process as it unfolded for "Our Lady of Peace"
Carey completed the commissioned work "Our Lady of Peace" which is at the opposite end of the spectrum from the whimsical "Black Shirts." 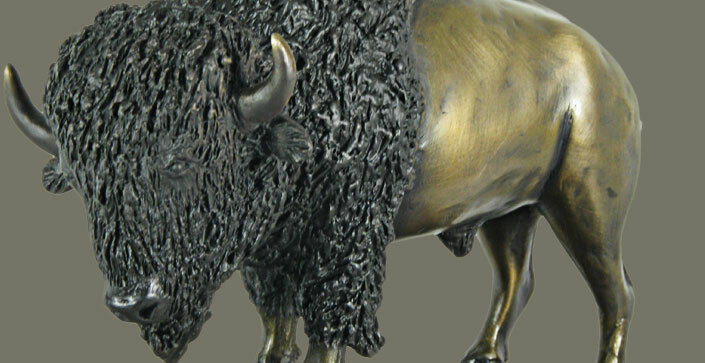 This completely serious and reverent commissioned sculpture is now installed in a Colorado church. "Our Lady of Peace"" is a life size bronze which was designed, sculpted, molded and finished in his studio, as are all of Carey's works, allowing him utmost control over the entire sculptural process from start to finish. "Our Lady of Peace"" was installed in Silverthorne, Colorado in December, 2010. 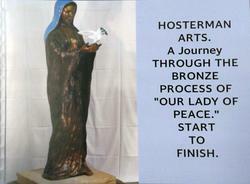 The companion book to the sculpture process as it unfolded for "Our Lady of Peace" is available for purchase. Online sales coming here soon ... call 970.962.9637 to purchase now.